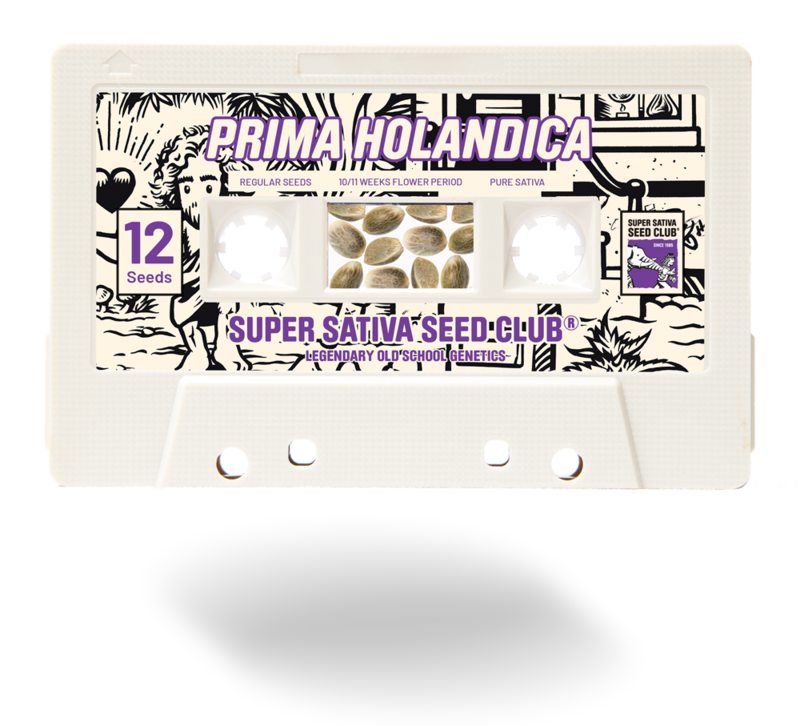 Super Sativa Seed Club. Regular seeds, old genetics, old school. 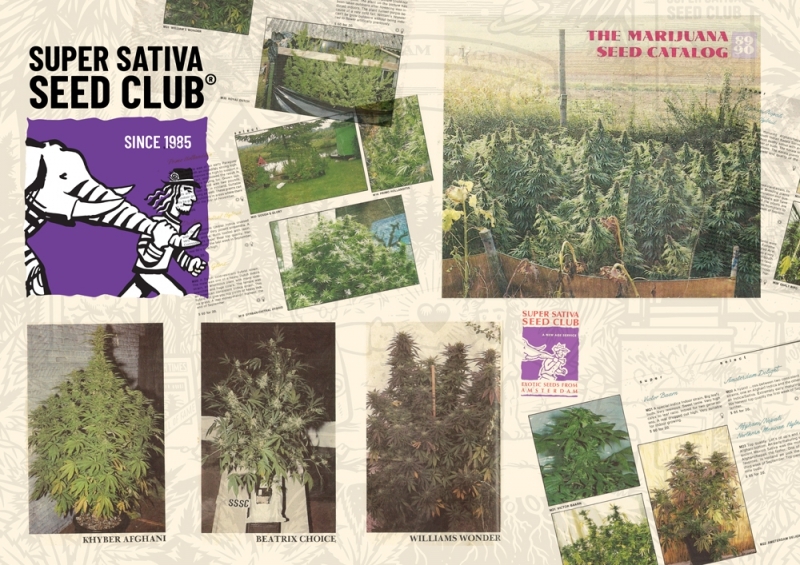 The Super Sativa Seed Club (SSSC) is back. They were originally created in the 1980’s and supplied mainly sativa genetics to some of the first modern ‘home growers’. Nowadays the genetics may also include indica. But the philosophy and approach are still very much old-school. The SSSC only sell regular seeds. The approach is to focus exclusively on the quality of the genetics. Creating the seeds as regular seeds (non-feminized) allows the SSSC to work using original working methods and breeding practices which were first used in the 1980’s. And the same father and son team of Karel and Kees Schelfout manage the whole SSSC breeding operation. They oversee all areas of operation, this includes maintaining the mother plants as well as planning and arranging the pollination process which eventually produces the seeds. The SSSC was the second of the Dutch Seed Companies. The only one which preceded the SSSC was Nevil’s Seedbank which was formed by Nevil Schoenmaker who was a fellow dutch breeder and friend of SSSC founder Karel Schelfout. In the early days Karel was a squatter in Amsterdam who wanted to grow the best cannabis possible. Some of the early contacts of Karel were important to the subsequent success of SSSC varieties. Nevil was a breeder with some excellent genetics which he had acquired from various sources. and expeditionary travels including Afghanistan. Neville was known for only trying to collect the best of the best when it came to seeds. This allowed Neville to start his famous seed collection. Neville’s Seedbank is perhaps best remembered for the Neville’s Haze strain, but Neville was also the thought to be the first to use the infamous Ruderalis strain in his breeding work. 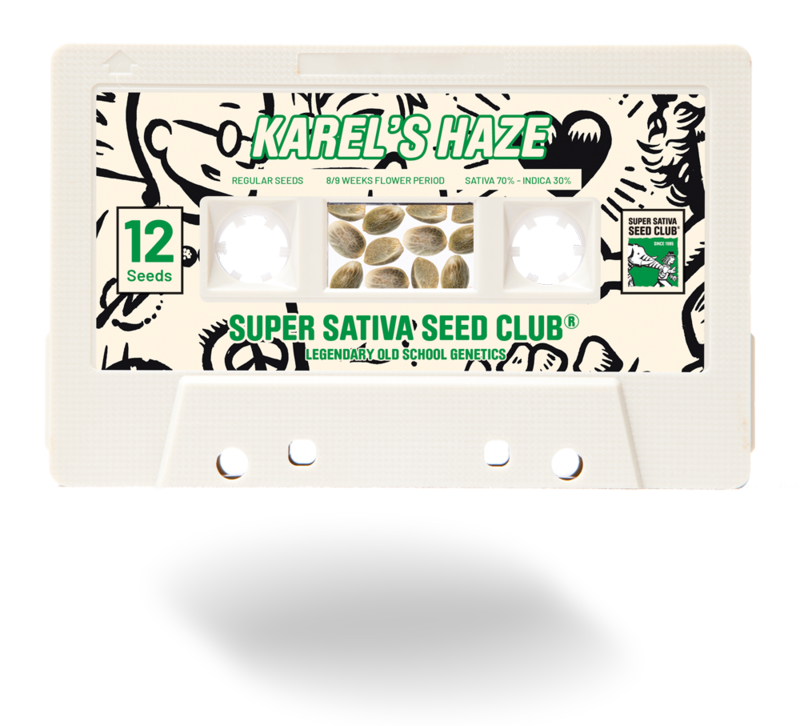 The seeds that Karel received from Neville were added to the ones he received from ‘Sam the Skunkman’ and became the basis of Karel’s breeding and the foundation of Super Sativa Seed Club. Some of the original legendary characters of the early cannabis years were contemporaries of Karel who was able to make the most of his good fortune and valuable contacts. The seeds from the very earliest days of cannabis breeding allowed Karel to begin his breeding with the best genetic foundation. 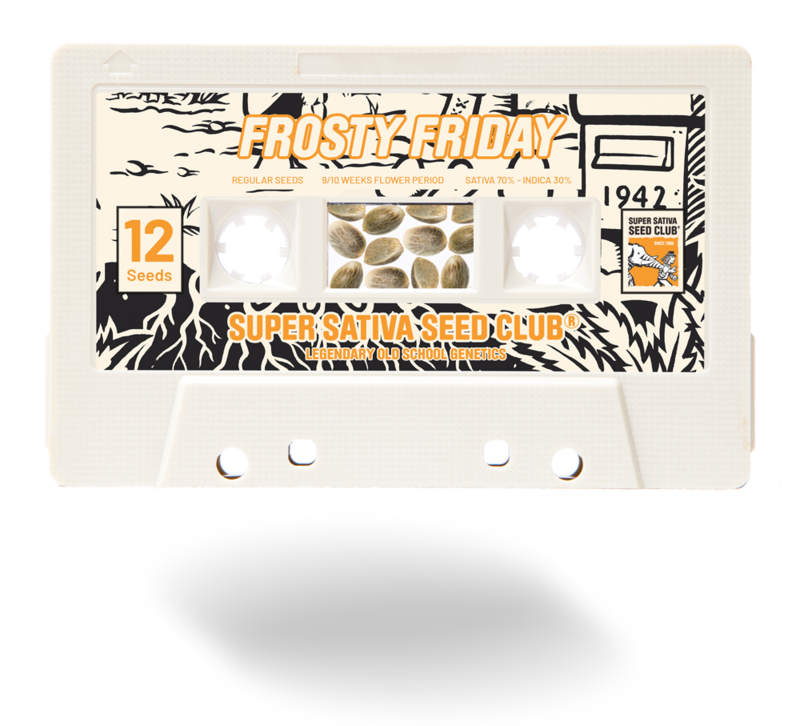 The Super Sativa Seed Club is one of the very first seed banks in the world. In the mid eighties every grower knew about the SSSC. It all started when ‘Sam the Skunkman’ gave Karel Schelfout the original Haze and Skunk #01 after his escape from California. At the time Sam was reputedly on the run from the US authorities following a bust in California for growing. Fortunately for the rest of us, Sam was on the run to Amsterdam with plenty of seeds. Karel used Sam’s genetics to create some of the illustrious strains that later helped make the Super Sativa Seed Club into one of the original Dutch seed companies. Between 1985 and 1987 SSSC genetics pushed the limits of breeding and growing all over the world. 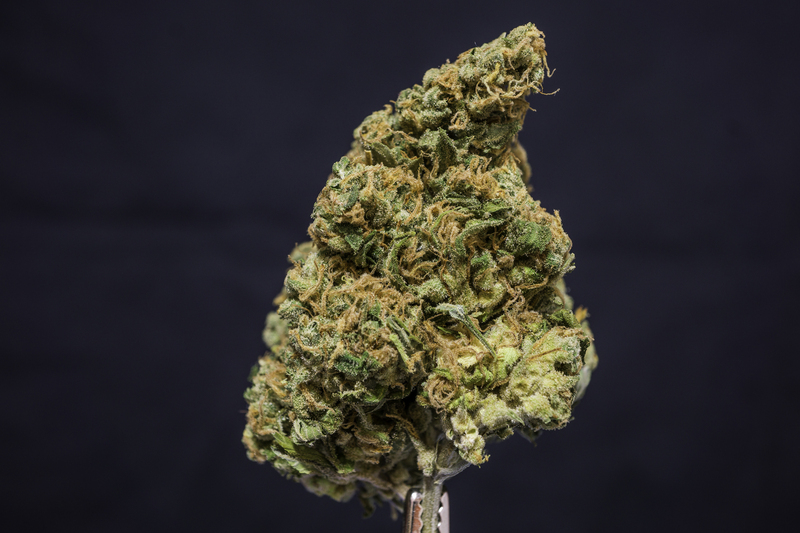 The reputation of the SSSC grew quickly as more people ventured into cannabis growing. In the early days there were very few places to source good quality seeds. The world of cannabis seeds was a relatively small circle of loosely connected breeders. For the first cannabis growers and cannabis collectives there were far fewer seed companies to choose from compared to the modern day grower. High Times magazine published a cover story about the SSSC and sales exploded. Anyone who hadn’t heard about the SSSC on the grapevine would soon read about them. 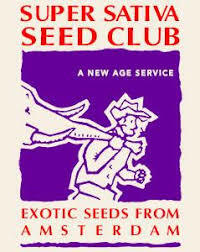 In less than two years the SSSC sold millions of seeds in the USA, Europe and Asia. After two very successful years the adventure ended. The founders went their separate ways and most of the SSSC seed collection got lost. ‘Weeds do not perish’ is a literal translation of the Dutch expression ‘onkruid vergaat niet’. And this is exactly what happened. After the adventure of SSSC ended, Karel saved one very important plant, a daughter of the original Haze and Skunk#01. Karel kept cuttings of this precious plant for more than 30 years and named her ‘Old School Haze’. The remaining SSSC genetics are the stuff of legends, even now many varieties carry DNA from the original SSSC seeds. All plants with a flavour of Haze or Skunk probably have grandparents derived from SSSC seeds. In the 90’s Karel and his team shifted their focus towards genetic preservation and the breeding of new cannabis strains for the Coffee shops in Amsterdam. The coffee shop scene in Holland was expanding rapidly, satisfying a strong local demand for cannabis. But something else was happening, Amsterdam was becoming an early cultural capital of cannabis. Visitors from all over the world would start to visit Amsterdam to enjoy cannabis. The demand for high quality cannabis in Amsterdam was reaching new levels. Karel already enjoyed a strong reputation among Dutch cannabis connoisseurs. And the new, expanding market for Dutch grown cannabis to supply the coffee shops was opening up. Competition was increasing, and the best coffee shops would work tirelessly to source the best cannabis varieties grown under the best conditions. Karel had lots more new work to do, and more people to satisfy with his own brand of high quality growing. At the same time Karel had been working on optimizing advanced indoor growing techniques. Karel knew that European growers clearly lacked the California climate. If cannabis was to become successful in Europe it was clear that genetics for indoor cultivation would be vitally important, especially for the northern European growers. And at the same time it was important to fully characterise the indoor growth mechanism of cannabis so that indoor growers could produce the same quality that outdoor growers could achieve. This work made Karel an authority in the field of elite genetics, breeding and cultivation. It was around this time that Karel’s son Kees, who had been working and growing his own plants in Barcelona, came to join him. The cannabis products from Kees and his Barcelona operation are a great success in the Barcelona Cannabis Social Clubs, especially the SSSC signature strain of Karel’s Haze. Kees continues the SSSC tradition, working with the established SSSC genetics as well as exploring new ones. Together Karel and Kees work closely using their proven approach and their old-style approach which puts quality first. Back in the eighties Karel was part of an underground scene of squatters, where smoking pot was an integral part of the lifestyle, especially in Amsterdam. Curious about the possibilities of growing the weed themselves, the first growers appeared. These pioneers were looking for new techniques to grow quality marijuana indoors. Cannabis could be grown easily outdoors in the gentle climate of California, with warm autumns. That’s one of the reasons that people like Sam the Skunkman would get such great results from outdoor grown Californian cannabis. However the same seeds which flourished and ripened perfectly in southern California would struggle to achieve comparable results in the cool and cloudy climate of northern Europe. In order to allow European home growers the same kind of heavy harvests with THC rich buds some changes would be needed. Specifically, techniques (and lighting) for growing cannabis indoors under artificial lights would need to be fine tuned. This was a far more technically challenging task than we imagine because the first growers were having to learn everything for themselves. Some of the knowledge that the modern indoor cannabis grower takes for granted took many years of growing to find out by trial and error. This meant that various types of indoor grow medium were tested. Soil was the obvious choice, but Karel also found great results growing in rock wool (glass fibre). Karel’s technique of growing cannabis in rock wool was copied from the Dutch commercial agricultural greenhouse growers, but at the time it was completely new for cannabis growth. One of the findings from Karel’s work was that cannabis roots grow very well in an oxygenated environment. These findings allowed cannabis growing experiments to be done in various porous and well oxygenated grow mediums. Growing was done under various types of grow light. It is obvious to the modern cannabis grower about the importance of red-dominant light for bloom and blue-dominant light for veg growth. But back in the 70’s this was all new, ground breaking work. Likewise the creation of mineral nutrients was another new area for the first indoor growers. Outdoor growers simply relied on good quality soil, with the light supplied from the sun. Indoor growing was entirely different. Light, nutrients, light cycles, grow mediums, humidity and many other factors had to be understood, controlled and optimized. Karel experimented in abandoned houses and squats in Amsterdam. Although few people realised it at the time these were important days at the beginning of the home grown cannabis revolution. Slowly but surely, Karel’s network of contacts grew quickly as did his experience trying and testing new grow methods. In the very early days of Dutch indoor cannabis cultivation there were no books to refer to, no internet to use and few experienced professionals to ask for help. The most important asset was to have an open and inquisitive mind, combined with a scientific approach. Slowly but surely, Karel was able to find the basic principles which would allow indoor growing conditions which would enable his cannabis seeds to genuinely thrive. The importance of light with a high blue content for veg growth was understood. Providing blue wavelengths allowed strong veg growth with 18/6 light. This meant 18 hours of daily light followed by 6 hours of darkness. The plants would grow leaves, roots and branches but not buds. Indoor bloom conditions were also increasingly understood. An indoor bloom regime of 12 hours of light followed by 12 hours of darkness proved to be the best way to force cannabis to flower indoors. The importance of light rich in red wavelengths for bloom was a key finding from these early years. But one thing was beyond doubt, with the right conditions indoor grown cannabis produced excellent quality results. The early years of growing and breeding cannabis in Amsterdam had given the SSSC a great early chance to help create an indoor cannabis movement in Europe and beyond. Karel and the SSSC were able to get and improve the best cannabis genetics. And they were able to grow cannabis which was superior to the lower quality imports (which were often full of seed). The indoor cannabis growing movement had begun. At the time, few people had any idea how significant this was. Those lucky enough to have a warm Mediterranean or Californian climate could grow outdoors. But for many of the rest, indoor cultivation was the only option. But indoor grown cannabis had many advantages. The environment could be carefully controlled, no pests, no storms and no cloudy days. Temperatures could be controlled indoors too. In fact indoor grown cannabis allowed cannabis use to explode during the 1980’s. Even today, many of the legal Californian growers prefer to grow their crops indoors (or in greenhouses) rather than outdoors. The Super Sativa Seed Club were able to help a new generation of cannabis lovers grow their own cannabis and become self-sufficient growers. Today the SSSC are still producing regular cannabis seeds from their original plants with their original methods.